Riviera Maya, the beach destination located south of Cancun in the Yucatan Peninsula of Mexico, has so many hotels to choose from. There’s something for everyone: family-oriented resorts, romantic adults-only resorts, all-inclusives, quirky boutiques, etc. So, how do you decide the best option for your trip? We’ve collected our site-inspection notes and photos from our numerous trips to the region to help guide the planning process. But remember, the hotel is not the only important aspect of the trip! If you are looking to experience the area, get to know the local customs, try the amazing cuisine, dive into a cenote, swim with whale sharks, or explore an archaeological dig, be sure to let us know and we can help build an itinerary designed just for you! Banyan Tree Mayakoba: I love the privacy of the rooms and the size of the plunge pools. The top-notch service and food seals the deal for me! Viceroy Riviera Maya: This is the best bet for couples. The exotic jungle atmosphere and intimate setting is sure to set a romantic mood! Hotel Esencia: If you’re looking for an organic, personal approach with extreme privacy and exclusivity, this is the place for you! But, when David did his site-inspections a few years ago, he came to very different conclusions. 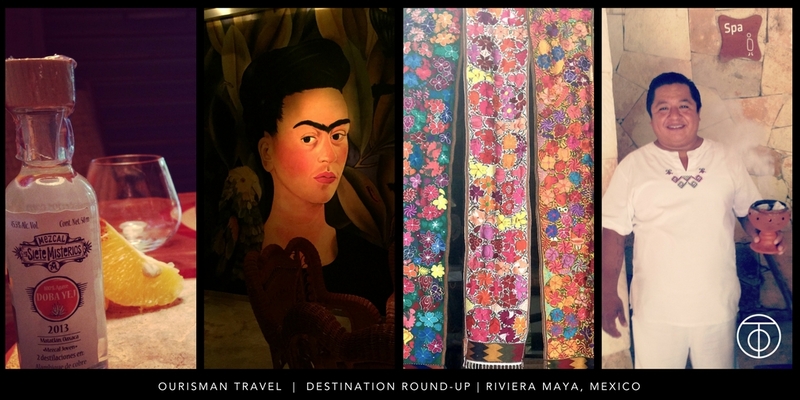 David gravitated toward the authenticity of Maroma and the delicious food at Rosewood. He was not a fan of the design or layout of Banyan Tree and the Tides (now the Viceroy) had such bad reviews that he didn’t even bother visiting. This just shows that a) a lot can change in only 4 years and b) there is no clear winner of the hotel options in Riviera Maya! All of the luxury hotels in the region check the major boxes for what we expect a luxury resort to offer our clients; the decision of where to stay truly comes down to your personal preferences and we’ve seen it all so we can help guide you in the right direction! You can see photos from our visits to all of these hotels and others in Mexico and Central American in my Flickr collection here. This entry was posted in Beaches, Mexico and tagged hotel review, Latin America, Mexico, Round Up. Bookmark the permalink.